Suitable for 4 – 12 people. Entertain guests to a private dining experience, or conduct business in the privacy of our secluded Stephens Room. 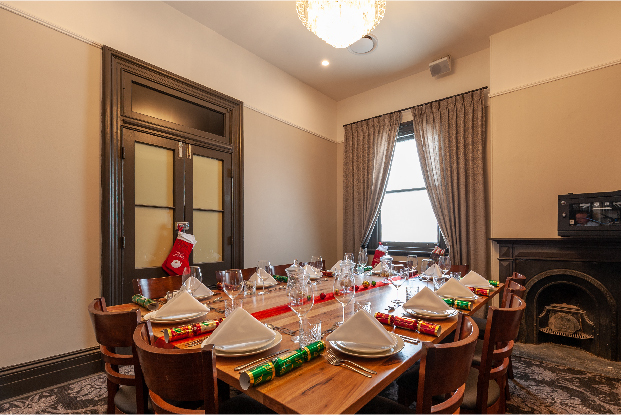 This room offers a warm atmosphere and is the latest addition to the RedBrick Hotel’s three private function rooms. Stephens Room features a versatile break-out area – perfect for pre-dinner canapes, drinks – or to withdraw from meetings for session breaks. This room is perfectly set up to host small corporate meetings where guests are encouraged to conduct business while enjoying an assortment of scrumptious platters. This room is equipped with a fully inbuilt AV, air-conditioning and free high-speed Wi-Fi. 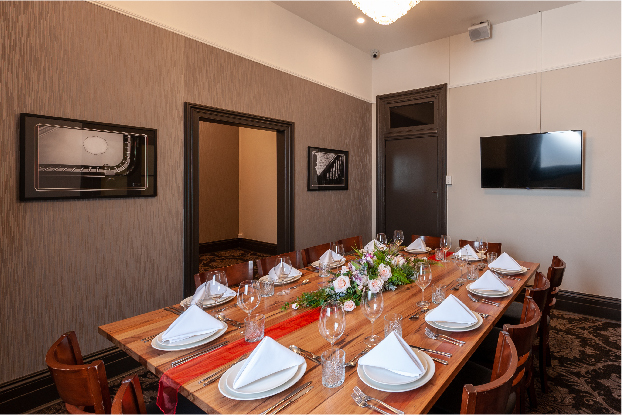 Our private function rooms make planning your next board meeting, or a special celebration easy with close family and friends. Speak to our dedicated team today to organise your next event with us. Let our team take the stress out of your next event. 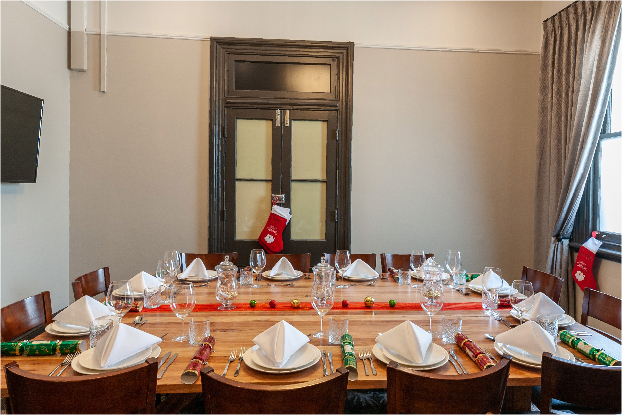 For more information about our function spaces and dining options, download our full function package, or click the button below to submit an enquiry and one of our friendly team will be in touch with you as soon as possible. We look forward to welcoming you to the all-new RedBrick Hotel soon!